I first heard about the new social media app, Vero until my friends started sharing on Facebook that they have joined and encouraged me to join too. According to Google Trends, Vero’s popularity has been pretty steady over the last year and seen a huge increase in popularity around the time the Facebook data breach became big news. The app grown in popularity from the top 1500 on the App Store, to #566, and finally #1 over the course of a couple of days. 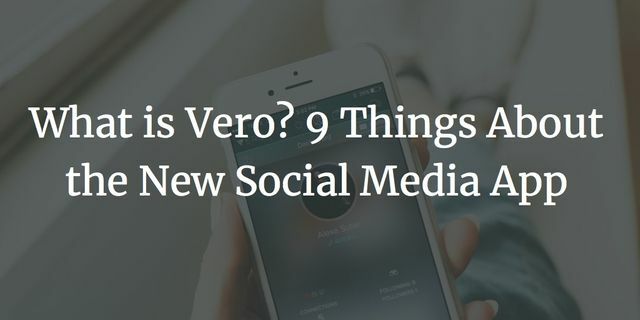 Leading with the message of “more social, less media”, Vero provides an ad-free and natural experience where you become friends with people you know & people who like your content are able 'follow'. On the surface, the Vero app is very similar to mainstays like Facebook, Twitter, and Instagram. You can post photos, videos, and links, share locations, or recommend books, music, and films. Others can like and comment on what you share. Sound familiar? But it distinguishes itself in some very important ways: No ads. No algorithms rearranging your posts and limiting who sees what. No data mining. Chronological feeds. In fact, Vero makes public its manifesto and business model for anyone interested in what they do, and why they do it. Vero believes that people naturally seek connections, and that explains the explosive growth of social media over the past 10-15 years.